European People's Party MEP Manfred Weber won the support of Europe’s centre-right parties Thursday to stand in the race to replace Juncker as European Commission President. Sputnik discussed the nomination with Christian Schweiger, a visiting professor and chair in comparative European governance systems at the Chemnitz University of Technology. Sputnik: Why has Mr. Weber been chosen over Mr. Stubb? Christian Schweiger: You probably heard that he got support from Merkel in the last few hours, in the last few days. 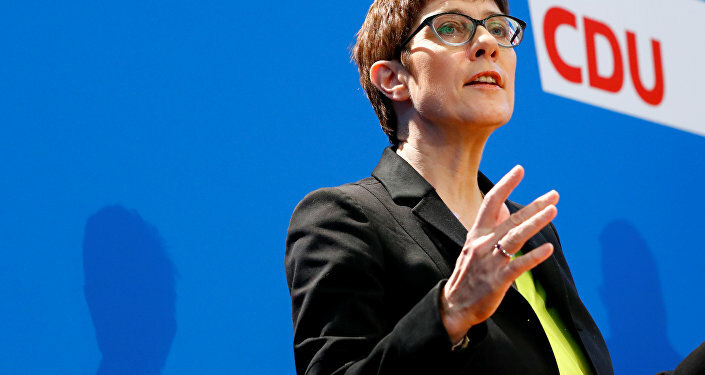 She basically said, although she was also in favour of Stubb, he was a good candidate, that she favoured Weber because she thinks that he's the most able person to lead the centre-right European People's Party into the European Parliament election as the leading candidate. 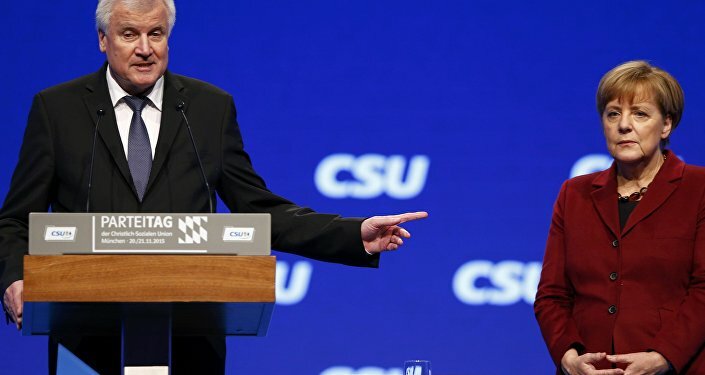 That's quite surprising because Merkel and Weber have not seen eye to eye all the time, because Weber has been like others within the Bavarian CSU, quite critical of some of Merkel's policies. But I still think she wanted a German conservative leading the EPP in the European Parliament election. Sputnik: The appointment is supposed to reflect the results of the European Parliament elections, viewed by some as a referendum on Europe's future and a clash between right and left. Is that really the case, and how could this vote reshape European politics? Christian Schweiger: Essentially it will remain a battle between the centre-right and the centre-left, but I think both sides will be substantially weakened in these European Parliament elections. The ones that are likely to benefit most are going to be the populists. Obviously, the European Conservatives and Reformists Group and particularly the Europe of Freedom and Democracy group, parties like UKIP in the UK, the AfD in Germany, the Front National (National Rally) in France are likely to poll better, not because the voters think that they can deal with the issues better, it is simply because many people, as you know, treat the European Parliament election as a sort of protest, substitute election for national elections. If they're not happy with the government at home or the opposition at home they're most likely to vote for a sort of outside party because they don't see much harm in voting for these parties and sending them to the European Parliament. So my prediction would be that the EPP, the European People's Party is still likely to be the largest group in the European Parliament, but they will weaken and we will see a substantial rise of the populists. That will make the solution, the tackling of all the issues mentioned, migration, economic reform, and institutional reform much harder and it is likely to weaken the European Union as a whole further. Sputnik: Now we've obviously seen the recent midterm vote in the US seeing a split in Congress, what are the chances of a similar gridlock in the European Union? If that is the case it is not going to help the situation with regard to the European Union's harmony, I would've thought that's the last thing on their mind, is there a chance that that could be the situation? Christian Schweiger: Yes, definitely, as I've just said, within the parliament because of the likely growth of the smaller groups like the European Freedom and Democracy group, with the populist parties it's likely there could be more gridlock in the European Parliament, but on the hand, we all know that the European Parliament is relatively weak when it comes to policy-making. It has to obviously agree to some issues but it's not a parliament in the sense of what you would have in a national parliament, where you would have legislation coming out from the European Parliament. What is more likely to halt any progress in the European Union if further national elections will result in populist parties entering government in individual countries, and that is likely to happen too. It could easily happen at some point in Germany where the AfD is growing in support and many other countries where the centre-right and the centre-left mainstream parties are losing support to radical parties on the far-left and the far-right. Sputnik: Whoever claims Mr. Juncker's post will face the outcome of Brexit, that's a challenge in itself, what do you expect from the European Union and the United Kingdom relations in the post-Juncker era? Christian Schweiger: If Weber gets chosen as the new Commission President, then he will substantially depend on the national governments to back him on any solution he might propose for the UK's post-Brexit status. As long as the British government is at odds with the rest of the EU-27, it's unlikely that there will be a deal, because even if Weber or any other European Commission president would find a compromise or propose a compromise, if the majority or at least some of the large member states don't agree to it, there won't be any progress. And so far we've seen the EU-27 sticking together and unanimously rejecting some of the proposals that the UK has made, and the UK government doesn't seem to be very compromising on some of the issues like freedom of movement. So my outlook would be pessimistic, but maybe the new European Commission president can initiate some dynamics into finding a solution, making some progress. Views and opinions expressed in this article are those of the speaker and do not necessarily reflect those of Sputnik.